One day after "The Great British Bake Off" announced it was heading to a new network, the show is bracing fans for another big change: new hosts. Sue Perkins and Mel Giedroyc said on Tuesday that Season 7, which is currently airing on BBC, will be their last as hosts. "We were very shocked and saddened to learn yesterday evening that 'Bake Off' will be moving from its home. We made no secret of our desire for the show to remain where it was," the two said in a joint statement. The next season of "The Great British Bake Off" will air on the U.K.'s Channel 4. Perkins and Giedroyc went on to give credit to the BBC, who "nurtured the show from its infancy and helped give it its distinctive warmth and charm." Under the BBC's guidance, the show also grow from a meager audience of 2 million to nearly 15 million at its peak, the statement noted. "We've had the most amazing time on Bake Off, and have loved seeing it rise and rise like a pair of yeasted Latvian baps," they said. "We're not going with the dough. We wish all the future bakers every success." 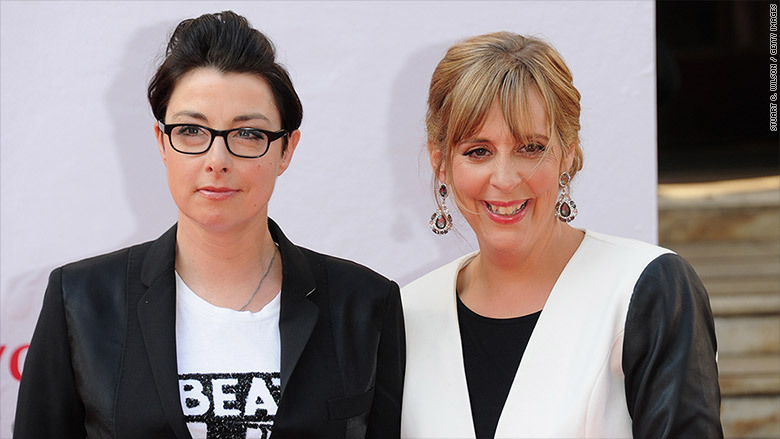 A Channel 4 spokesperson told CNN: "We fully respect Mel and Sue's decision." The question is now whether judges Paul Hollywood and Mary Berry will stick around to see the program through its upcoming switch. Some reports prior to the show's official move claimed the pair were among those not keen on the idea of switching homes, for fear it would change the nature of the series. BBC lost its rights to the Love Productions-produced series due to failed negotiations over fees. "The Great British Bake Off" remains one of the most popular shows in the U.K, with its most recent season premiere attracting 10.4 million viewers, topping Olympics coverage in that country. The next edition of "The Great British Bake Off," which will be a celebrity edition, is set to air in 2017.